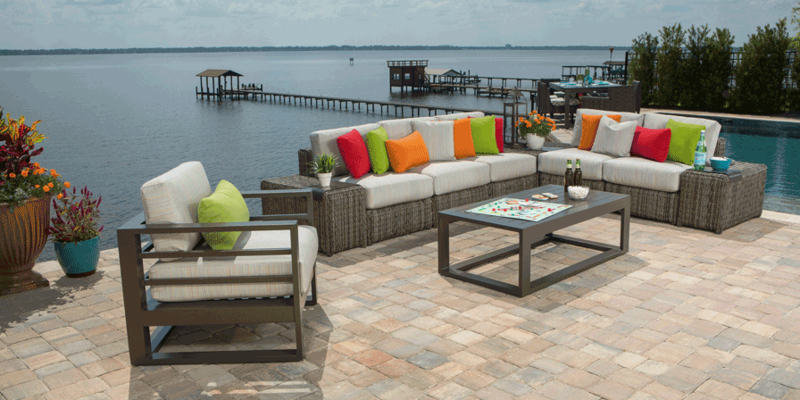 It’s that time of year when you spend more time outside enjoying the favorite “room of the house” – your patio. If you are looking to update your patio, here are a few ideas for inspiration. 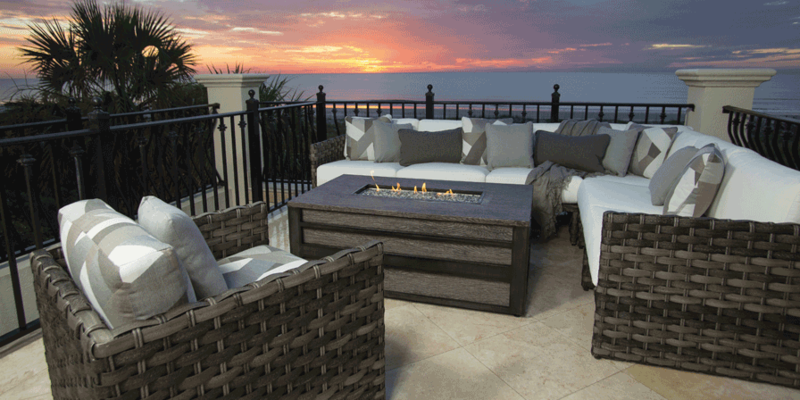 Wonderful Wicker: Always a top-seller is the woven, wicker look. 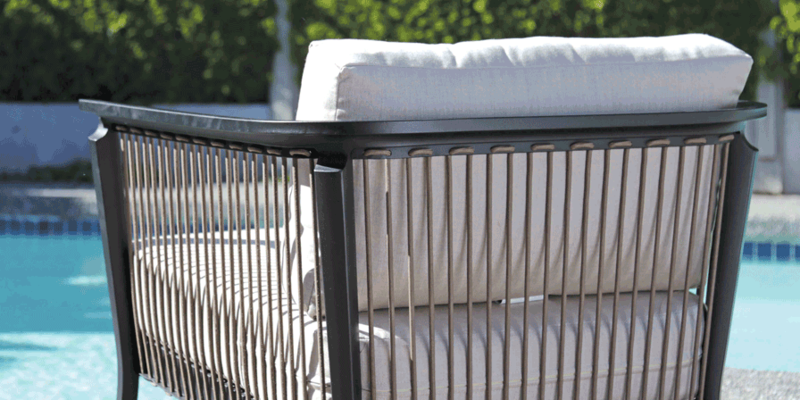 One of the favorite new wicker collections this season is the Allegre seating paired with metal accent tables. 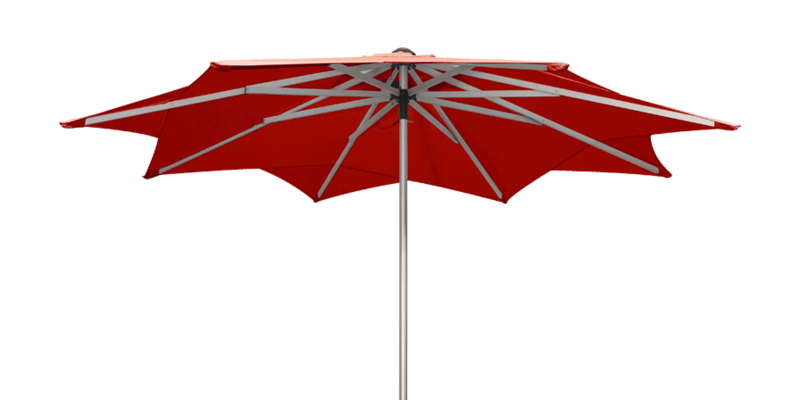 Shapely Umbrellas: The trend among umbrellas is different shapes. The Stardust combines form and function in a star-shaped design. Another unique offering, the Lotus is anything but an ordinary market umbrella and when closed, it retracts upward like the lotus flower. In addition to fixed stands, rolling bases are available for flexibility. Mixed Media: This season, one of the latest and perhaps most interesting trends is the use of faux wood and metal that creates a unique contemporary look. Strappy Retro: Strappy patio furniture has a long history and the Copacabana (above) and Monaco (right) are two collections that not only bring strap back, but do so with a modern twist. The Copacabana’s sturdy metal base is adorned with vertical rope straps for a clean line design, but unlike other strap furniture, it is cushioned. The Monaco features an all strap seat and back and can be customized and special ordered in fun vibrant frame colors such as neon green and tangerine.